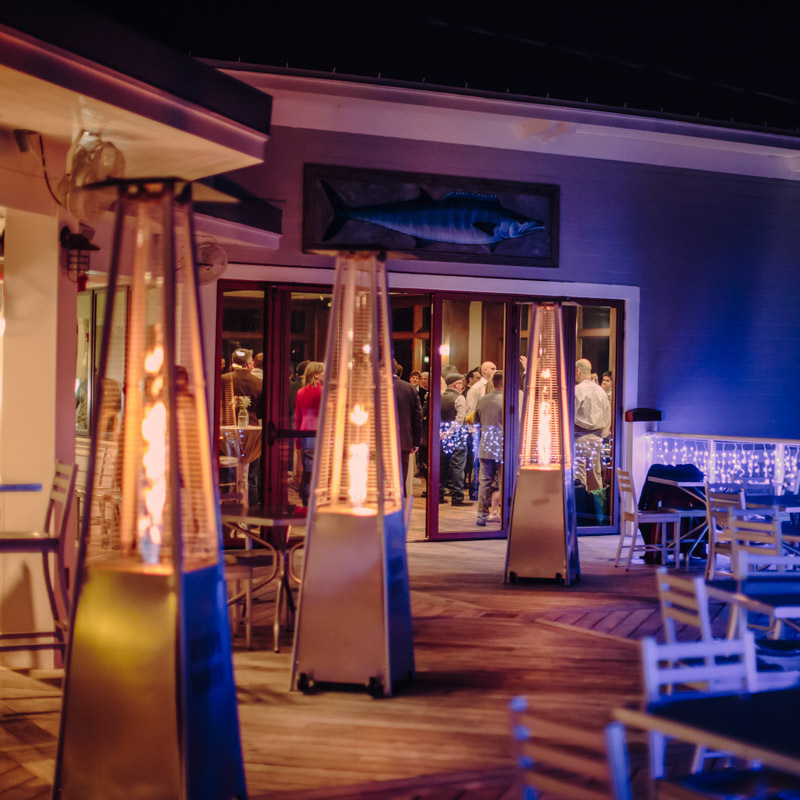 We’re located conveniently on Patriots Point for easy access by land or sea. 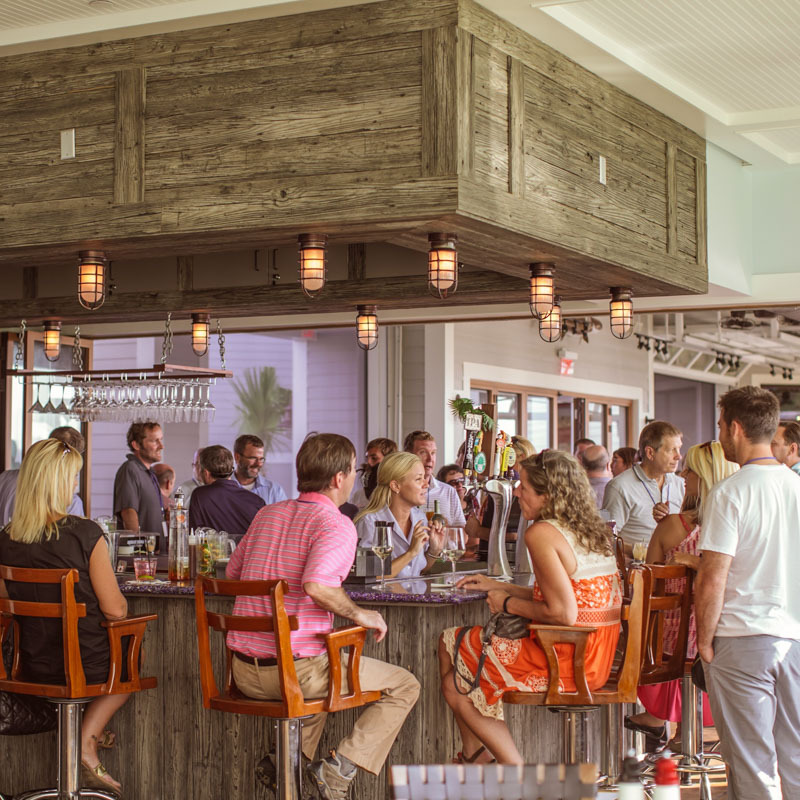 Our cuisine focuses on local sustainable seafood with fresh specials that change daily, based on what the captains fishing the waters of Charleston bring in. 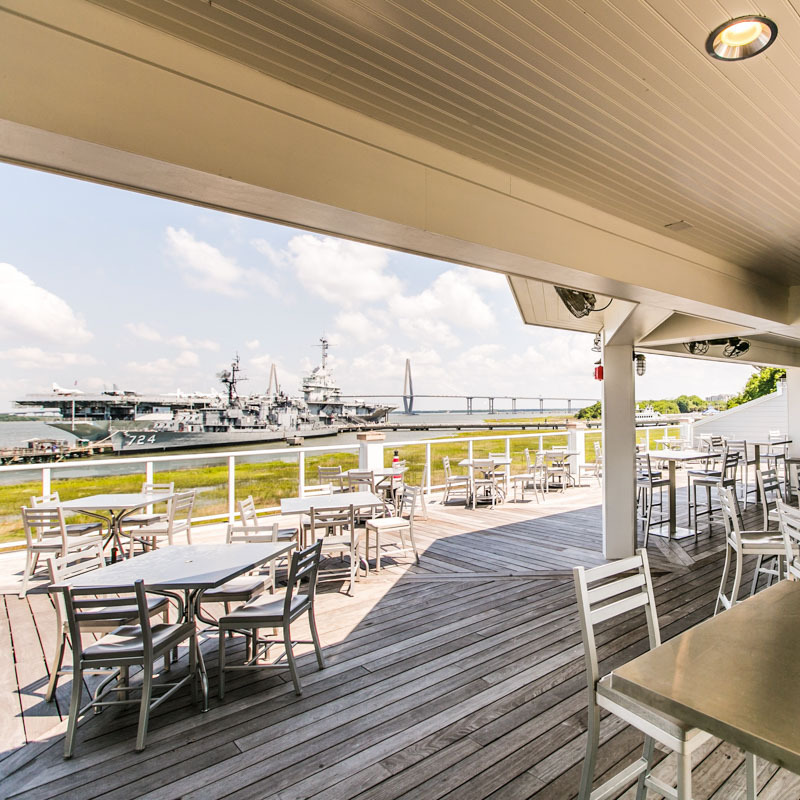 The views from the Fish House are like none other in Charleston; you can view the historic Charleston skyline, the USS Yorktown, and the marina from literally every table in the restaurant. Come in the evening to view the most spectacular sunsets from the Bridge Bar, located on the rooftop of the Fish House. We are open from 11:00 AM to 10:00 PM. 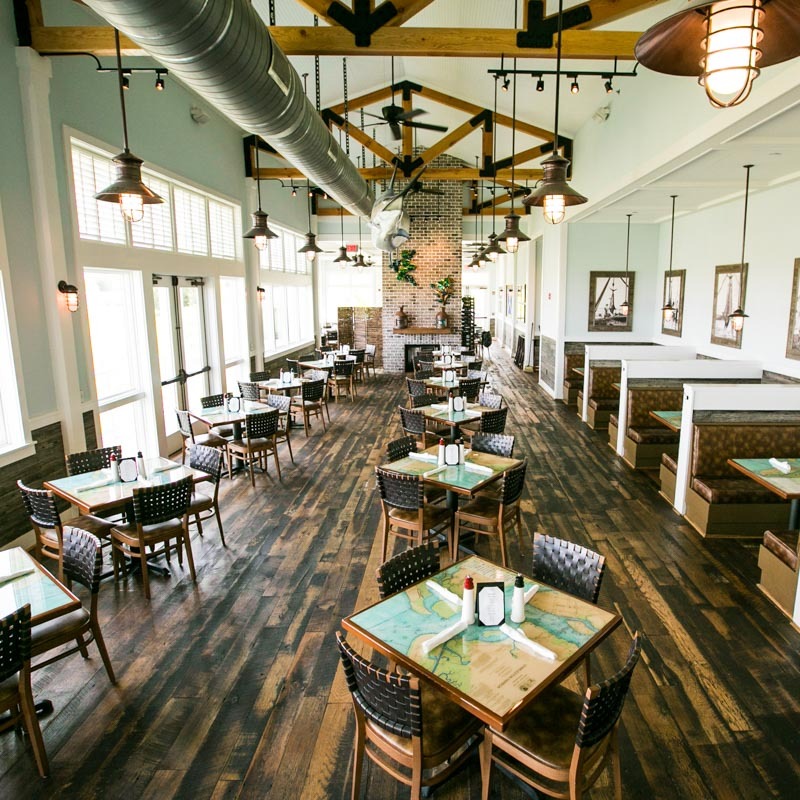 Patrons are encouraged to make reservations for dinner. Parking is conveniently located in the lot adjacent to the restaurant. You may also come by boat. To reserve your docking area, please call the Charleston Harbor Marina at 843-284-7067 or by radioing Channel 16.